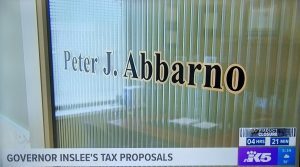 Attorney Peter Abbarno responds to Governor Inslee’s B & O Tax proposal! Althauser Rayan Abbarno partner Peter Abbarno recently responded to Governor Jay Inslee’s budget proposal to increase the Business and Occupation Tax Rate and create a new Capital Gains/Income Tax. 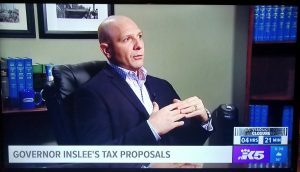 “It’s going to siphon any money that we traditionally would reinvest in our workforce and our local communities,” said Peter Abbarno, attorney with Althauser Rayan Abbarno, LLP, on King 5.